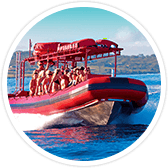 Be one of the first boats in the morning to snorkel Molokini Crater where visibility often exceeds 180ft. Snorkel the back wall of Molokini, a place very few visitors ever get to see. Stop at La Perouse Bay to search for the Hawaiian spinner dolphins that call the bay home. 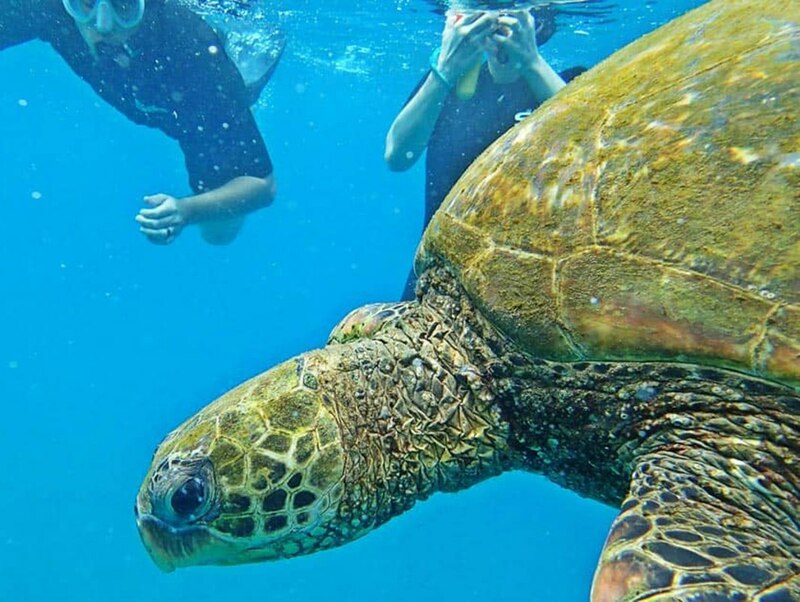 We conclude our tour with an up close and personal encounter in the water with the protected Hawaiian Green Sea Turtle. World famous Maui cinnamon rolls and fresh fruit for breakfast. Delicious deli sandwiches and pasta salad for lunch. 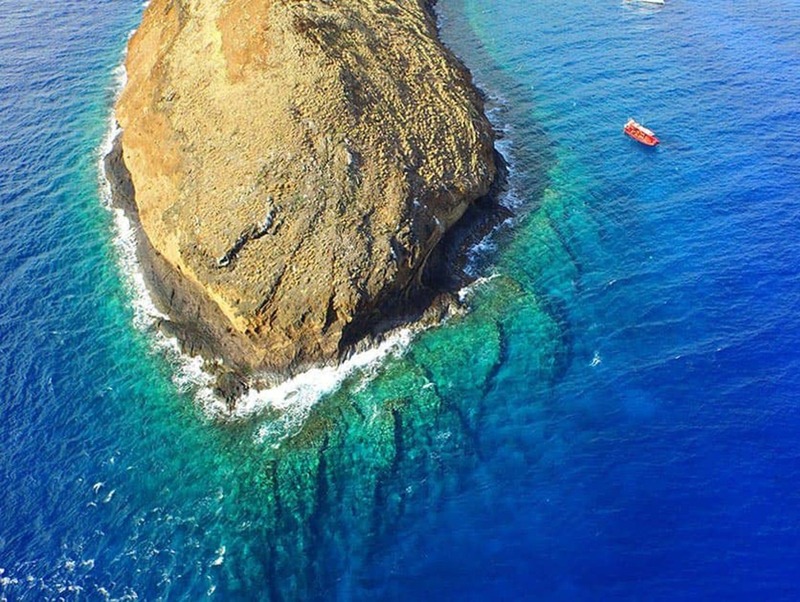 Molokini Crater snorkeling is a once-in-a-lifetime adventure that simply cannot be missed! If it’s adventure you seek during your Maui vacation, look no further than our Forbidden Coast & Molokini Snorkeling Tours. 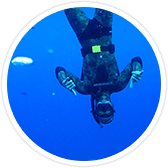 This fantastic Maui snorkeling adventure would leave even Jacques Cousteau thrilled, as he grinned from ear-to-ear! Hold on as our boat zooms across Hawaii’s sparkling warm tropical waters out to Molokini Crater. Your adventure begins when we leave from the small boat ramp in Kihei. 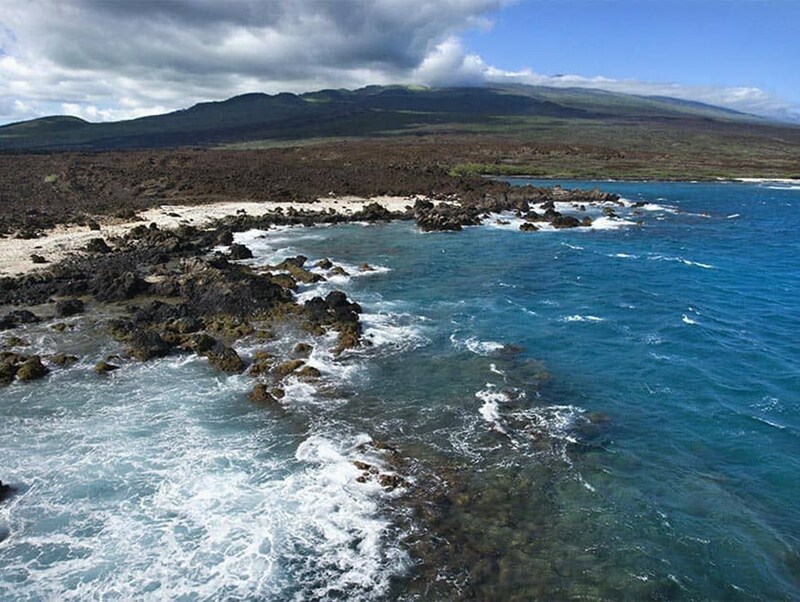 Kihei is a convenient location of origin that will give us the advantage of being one of the first boats to arrive at our Molokini Crater snorkeling spot. My wife and I thoroughly enjoyed our excursion with the Redline Rafting crew. They did an outstanding job. Swimming on the back side of Molokini Crater was indescribable and worth the price of admission! It really was an enjoyable morning and we will certainly return in the future! The snorkeling was incredible. Saw amazing amounts of coral at Molokini, lots of turtles at turtle beach and even more incredible coral at our third stop. The food was great and the ladies helping us were very kind. Lots of fun for 5 hours of snorkeling, wave riding and fun! We saw many fish in the reef at Molokini Crater. Then turtles at the last stop. All in our party had a great time! After your Molokini snorkeling experience we will head to a remote volcanic coastline, where you will view Maui’s most recent lava flow. While there you will also see a number of enchanting caves, lava arches and grottos. As we sail to each location our well-informed guides will impart unto you their knowledge of the cultural and geological formation of the islands, and the steps being made to preserve it. 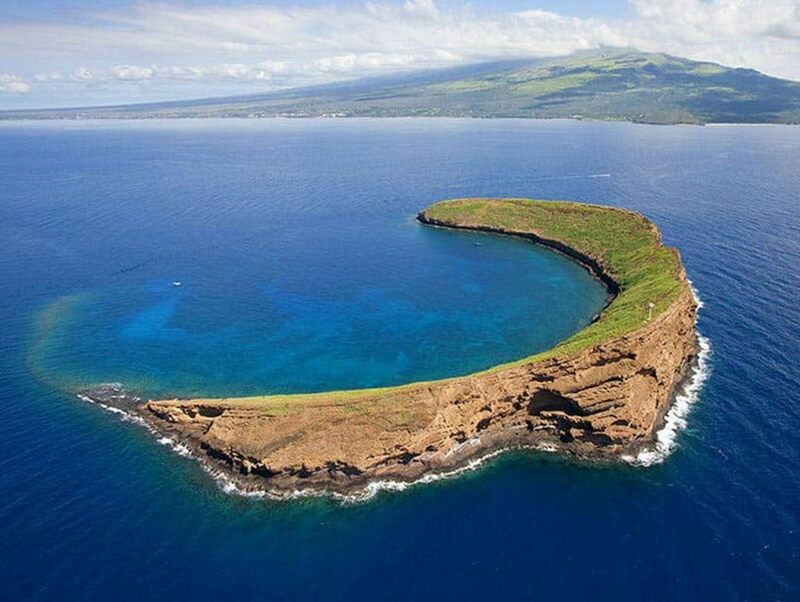 Molokini Crater is one of three volcanic calderas in the world and offers some of the best snorkeling in Maui, an undersea of vibrantly colored tropical fish and stunning coral reefs. This amazing unadulterated underwater view is made possible by the crystal clear waters surrounding Molokini and the Maui coastline. 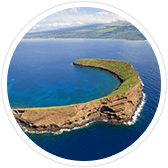 We guarantee you’ll visit Molokini or your trip is on us! Snorkel the Molokini back wall, a place very few people get to see! Because we depart from Kihei, we are one of the first boats to visit Molokini in the morning! See the amazing acrobatics of the famed Hawaiian Spinner dolphins! We conclude our tour with an up-close and personal encounter with the protected Hawaiian green sea turtles! 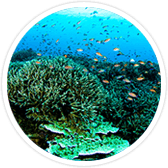 Swim with beautiful fish and other marine life! Swim up close with schools of tropical fish. Their incredible colors are sure to astound you as you’ll have the opportunity to see hundreds of different species. 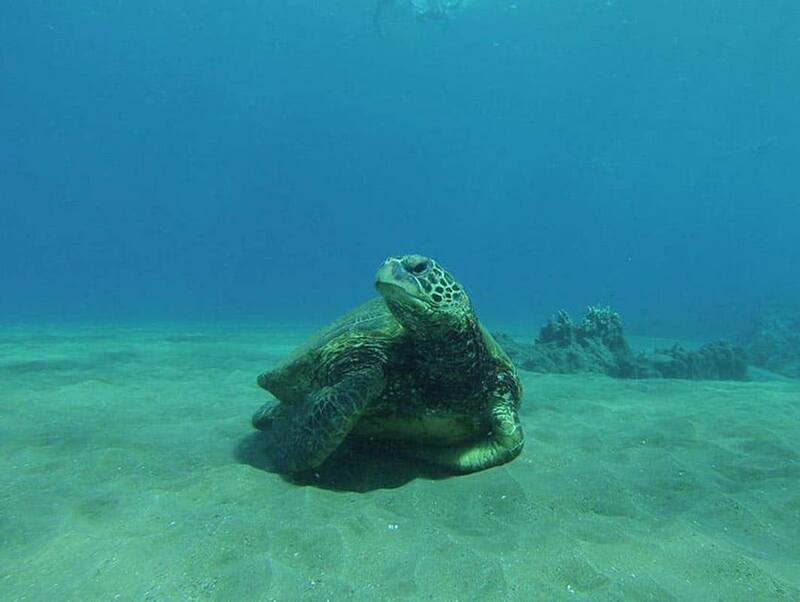 It’s not just tropical fish that you’ll swim with but also Hawaiian green sea turtles, known to Hawaiians as ‘honu. They are truly magical! Hawaiian Spinner dolphins are known for their acrobatic displays of leaping out of the water while spinning, which is bound to make an impression! 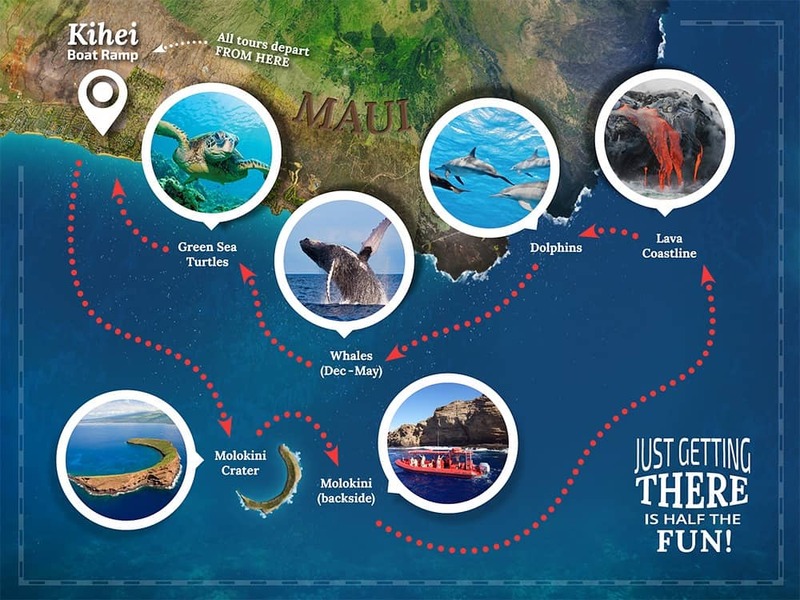 If your Molokini snorkeling tour takes place during the winter, you may encounter majestic North Pacific humpback whales! Because of the nature of marine life, each Maui snorkel trip is truly a one-of-a-kind experience and you’ll be amazed by what you see! 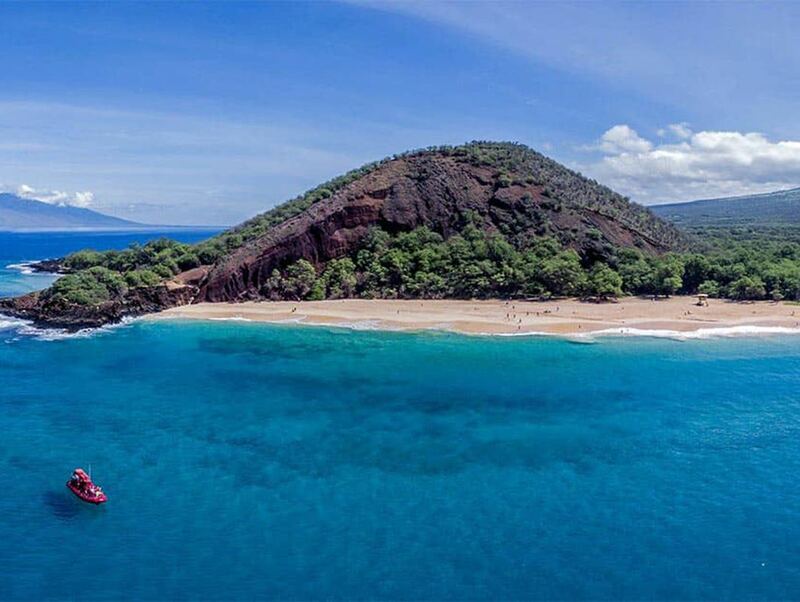 This top Maui snorkeling spot is only a few miles from the Kihei boat dock. Our boats depart from this South Maui harbor, giving guests quick access to the many of the top snorkeling spots along the coastline as well as the crater. Maximize your time in the water and go to places that other boats can’t. We are the only tour that guarantees snorkeling at the crater. Almost everyone has this activity on their bucket list when they visit Maui. A visit to this submerged crater, a protected wildlife and marine area, is one of the highlights of any visitor’s underwater adventures while in Hawaii. 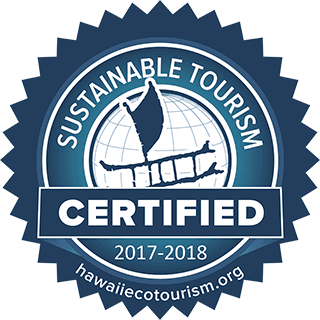 Our snorkeling tours from Kihei aim to please, with not only the opportunity to snorkel inside the crater but the back wall as well. That’s two different spots at Molokini! Away from the towns of Kihei & Wailea, this area of South Maui is truly enchanting. 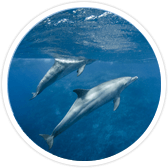 Here you will find Hawaiian spinner dolphins at play in beautiful La Perouse Bay along with opportunities to explore caves and grottos along this protected coastline, far from development, crowds and other tours. Located away from the towns of Kihei and Wailea, this area of South Maui is truly enchanting. On a stretch between Nahuna Point and Black Sand Beach Maui in the southern district of Makena is Maluaka Beach. Along its coastline, you’ll find where most people understand Turtle Town to be located. 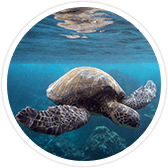 With its gentle waves and wealth of tropical marine life, Turtle Town is Maui’s hidden gem that continues to excite and fascinate visitors. In addition to the majestic and venerable Hawaiian Green Sea Turtles that you’ll encounter, the networks of coral reefs are also home to splendidly colorful tropical fish as well as a plethora of other remarkably beautiful marine life.